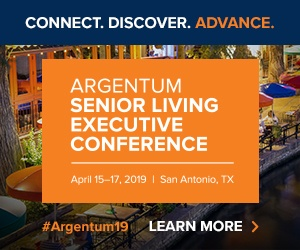 As senior living providers look far and wide for ways to help solve the ongoing labor crunch and implement innovative operational strategies, stronger ties with nearby universities should be a top priority. This is no secret. Life plan communities in particular have found success in various types university partnerships, and some high-profile developments underway today —- including Mirabella at Arizona State University — are banking on this model for the future. However, like any relationship, senior living partnerships with universities require an investment of time and effort. Clark-Lindsey Village — a non-profit life plan community in Urbana, Illinois — can attest to this first hand. The community is just a stone’s throw from the University of Illinois and has built up its strong and multi-faceted partnership in recent years, according to Clark-Lindsey Village President and CEO Deb Reardanz. In general, universities and senior living providers have much to offer one another. While schools can lend providers an influx of student volunteers and interns, providers can offer schools settings in which to conduct valuable research or give students real-world experience, according to Wendy Bartlo, an outreach specialist for the University of Illinois at Urbana-Champaign. One way the two organizations collaborate in an academic sense is through a program called CHART (collaborations in health, aging, research and technology). Under that program, University of Illinois professors conduct research projects in an apartment that Clark-Lindsey leases to the university. The university benefits because it can study older adults, and the community benefits because it’s exposed to new ways of doing things. Clark-Lindsey is also currently working with the university to develop a master’s degree program for long-term care workers. Other similar efforts have started to come together at Washington State University, with its plans for the Granger Cobb Institute. Of course, interns likely won’t just flock to a senior living community by word of mouth alone — you need to engage them in their classrooms and on their campus, Bartlo added. Clark-Lindsey, for example, sends staff to campus to be guest speakers in classes such as social work, dietetics and industrial design, and in the university’s business school. And, the community offers tours to students several times a semester. Beyond research programs, one simple way schools and senior living providers can work together is through internships. For example, Clark-Lindsey has an unpaid internship program that draws from the University of Illinois and other local educational institutions. The community also has a job-shadowing program for high schoolers, where teenagers can get experience following such employees as CNAs, dishwashers or dietary aides. Other senior living providers, too, are placing an increased focus on internship programs, as they can help circulate fresh faces and creative ideas into an industry that sorely needs it. The industry must attract more than 1.2 million additional employees by 2025, according to 2016 projections from industry association Argentum. And all this needs to occur in a U.S. job market that is extremely tight for employers. To date, Clark-Lindsey has hired seven of its interns as employees, with 90 interns having gone through the program since it began in 2011, according to Laura Edwards, director of strategic initiatives at the nonprofit. To help encourage young interns to join up, Clark-Lindsey also has an intern-in-residency program, where up to four interns at a time can stay in a fully furnished guest room at the community provided they work 40 hours a week — 10 of which are spent working on resident engagement opportunities. And these are just some of the ways student interns gain on-the-job experience at Clark-Lindsey. Others may help out in ways that are merely tangental to the overall senior living and care industry. Interested in learning more about how senior living providers can partner with universities? Click here to access the complete Senior Housing News report that takes a deep dive into the topic —from the successes to the failures—and reveals why creating strong ties with a university is one of the smartest moves a senior housing provider can make.